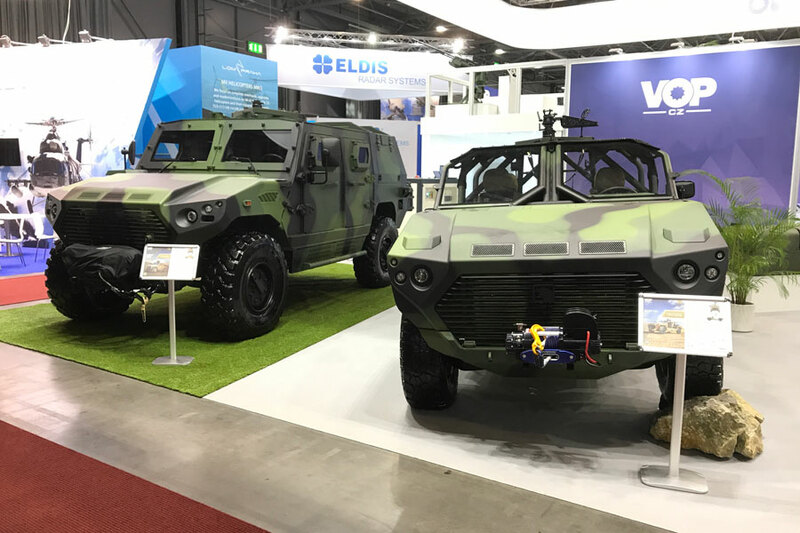 VOP CZ and NIMR Automotive unveil first military vehicle collaboration at IDET. VOP CZ and NIMR Automotive have selected the 14th International Defence and Security Technology Fair, (IDET) in Brno, Czech Republic, to formally debut their first military vehicle collaboration, the AJBAN 440A configured to European specifications. Since announcing their partnership in early 2017, VOP CZ and NIMR’s design and engineering teams have worked quickly to bring this advanced platform to the European market, with successful trials already taking place in the presence of senior leadership from the Czech Armed Forces. The unveiling of the newly configured AJBAN 440A comes at a time when countries across Central and Eastern Europe are undertaking the most significant defence modernisation programmes of the past two decades, including the replacement of ageing, legacy platforms with proven military vehicle solutions. Over the coming months, VOP CZ - NIMR collaborative vehicle platforms will be featured in demonstrations across Central and Eastern Europe. This partnership provides a compelling offering to the region: combat proven technologies, localised production and in situ support in Europe. NIMR is also displaying at IDET its newest vehicle line, the Rapid Intervention Vehicle (RIV). Designed to be internally transportable in a CH-47, and featuring unrivalled power-to-weight ratio along with outstanding all-terrain tactical mobility, the NIMR RIV aims to meet the increasing demands of armed forces without compromising on competitiveness. The RIV is a further example of NIMR's collaboration within Europe having been engineered by Horiba Mira in the United Kingdom and jointly developed with NIMR. Dr. Fahad Saif Harhara concluded, "The future to growth is through these strategic partnerships and testament to the maturity of NIMR’s platforms."